Why Publish? 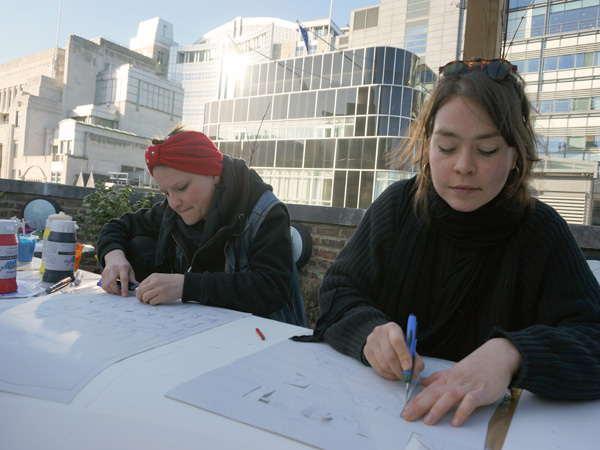 is a joint research between AND Publishing and Central Saint Martins MA Fine Art students to collectively explore the pedagogical, creative and critical spaces of publishing. What are the possibilities and limitations of existing institutions and publishing structures? How is value created and for whom? Who enjoys visibility and why? What is the value of archiving – for example at the Feminist Library, where knowledge is produced through trans-generational transmission of memory of feminist activists’ life? 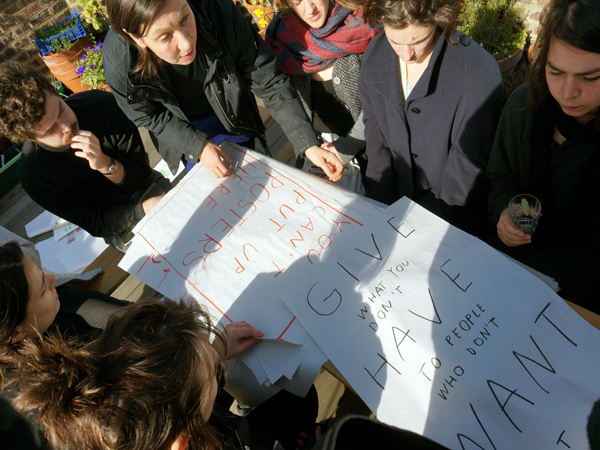 Can we think of activists’ archives as place for alternative distribution? What are the acquisition politics of special collections, libraries and public archives? How do books get in the bookshops? 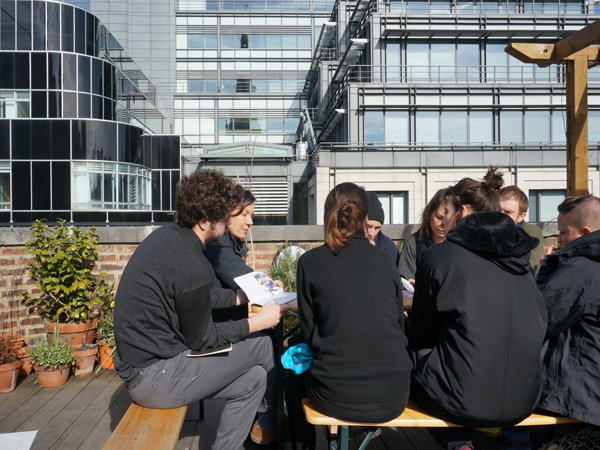 Through site visits, seminars, workshops and making we will explore the ways to circulate students’ work in order to create sustainable networks and relevant debates. Initiated by Eva Weinmayr (AND/CSM), Luisa Minkin (CSM) and Alex Schady (CSM). Funded by Curriculum Development Funding, Student Enterprise and Employability (SEE), University of the Arts, London. In March we visit MayDay Rooms, founded as a safe haven for historical material linked to social movements, experimental culture and the radical expression of marginalised figures and groups. We unwrap three selected archives, including Jo Spence, East London Big Flame and British Poster Film Collective. We discuss the relevance of these specific archives for us today and respond to them by developing a set of posters, articulating our current dilemmas, propositions and visions. 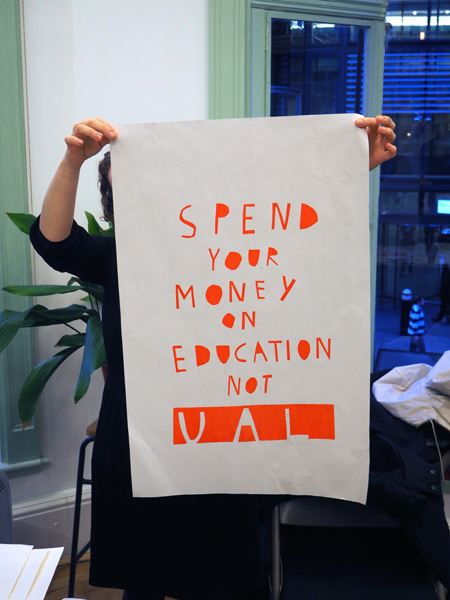 We screen print the posters on site, building our own silkscreens and making paper stencils. With big thanks to Anthony Davies for showing us the archives, to Frauke Zabel for taking pictures and to all participants: Alex Dipple, Catarina Costa Cubelo Morais, Frauke Zabel, Johanna Klingler, Judith Neunhäuserer, Harley Price, Karen Di Franco, Kristina Schmidt, Liane Klingler, Nicola Lorini, Rachel Pafe, Rosalie Schweiker, Sakina Dhif. Here is Rachel Pafe’s and Sakina Dhif’s account of the event. Sarah Kember (Professor of New Technologies of Communication at Goldsmiths, University of London) on her plans to set up an alternative Academic Publishing Press introducing female citation policies. Karen Fletcher (Fine Art Librarian at Central Saint Martins, University of the Arts London) on acquisition and cataloguing politics at the University. Sophie Hope (Manual Labours, lecturer in Arts Management Film, Media & Cultural Studies, Birkbeck) about her practice and the politics of socially engaged art.